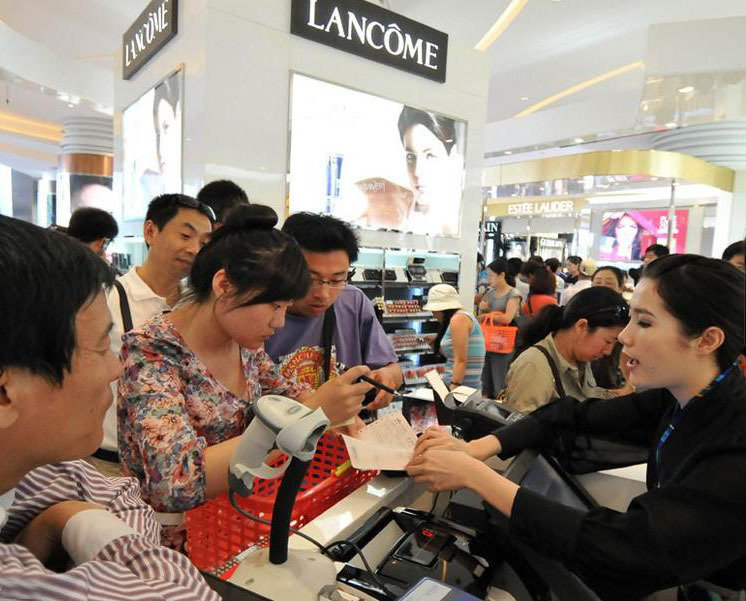 The Sanya Duty-free Store saw a total sales volume of more than RMB1 billion and attracted 490,000 shoppers in 2011. The figures show that the Sanya Duty-free Store received 2.8 million customers since April 2011, and has become a “hot tourist attraction” the same as Sanya Nanshan and Tianya Haijiao (Edges of the heaven, Corners of the sea). According to the latest data from China Duty-free Group, the Sanya Duty-free Store received 260,000 shoppers from the Spring Festival to Lantern Festival, hitting a sales record of RMB145 million. Estee Lauder, Lancome, Chanel, Dior and Clinique were the top 5 hottest cosmetics brands at the store, among which the month sales of Estee Lauder was tops in the Asia-Pacific area. In the future, the Sanya Duty-free Store will update and supply imported brands regularly in order to better service the different demands of customers from home and abroad.